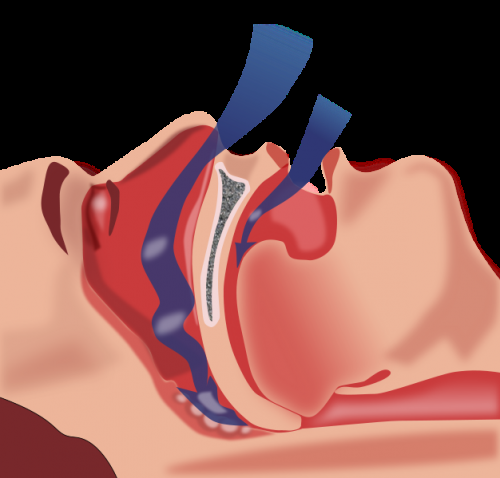 Continuous positive airway pressure is effective at treating sleep apnoea in older people, a new study has found. Obstructive sleep apnoea (OSA) is a condition where the walls of the throat relax and narrow during sleep, interrupting normal breathing and causing profound sleepiness. For people with moderate or severe OSA, doctors usually recommend using a continuous positive airway pressure (CPAP) device, which consists of a small pump that delivers pressurised air into the nose through a mask, stopping the throat from closing. Previous studies have established the benefits of CPAP in middle-aged people with OSA, but until now there has been no research on whether the treatment is useful and cost-effective for older patients. Professor Mary Morrell, co-principal investigator of the study from the National Heart and Lung Institute at Imperial College London, said: "Sleep apnoea can be hugely damaging to patients' quality of life and increase their risk of road accidents, heart disease and other conditions. Lots of older people might benefit from this treatment. Many patients feel rejuvenated after using CPAP because they're able to sleep much better and it may even improve their brain function." "We think low oxygen levels at night might accelerate cognitive decline in old people, and studies have found that sleep apnoea causes changes in the grey matter in the brain. We're currently researching whether treatment can prevent or reverse those changes," said Professor Morrell. Co-principal investigator Dr.Renata Riha, Consultant and Honorary Reader at the Royal Infirmary of Edinburgh, added that sleep medicine spans many disciplines and comprises an important area of research which deserves support and greater recognition by funding bodies, universities and public policy makers. "Sleep disorders, such as sleep apnoea, impact on a wide variety of chronic conditions, potentially leading to their development or worsening them, including diabetes, heart attacks, strokes and possibly even cancer. Successful treatment diminishes this risk but we still have a great deal of work to do in the area," she said.